"The keesh-eater collapsed into a nerveless heap, smearing a thin trail of blood down the pillar. Armitage watched him until he was sure he wouldn't move, then rounded, scowling, on the uniformed Judges. 'You think you can clean this up noe, or do I have to do everything?'" 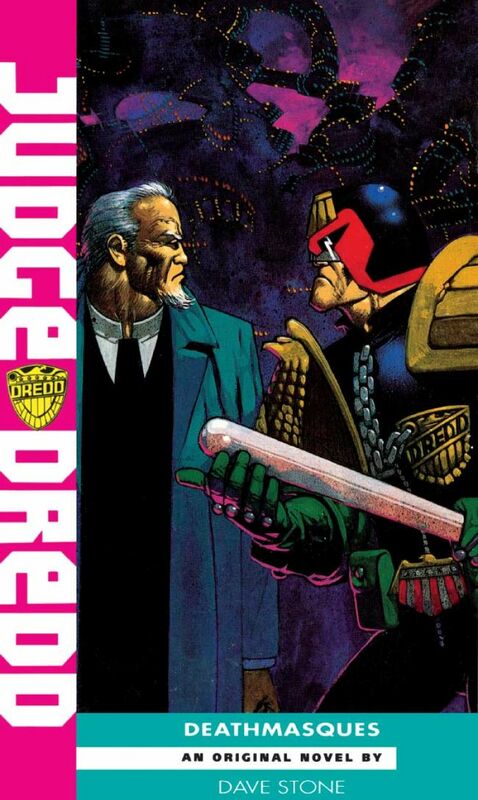 Travelling to Brit-Cit on the trail of a bloodthirsty, body-hopping alien, Judge Dredd is forced to work with Detective Judge Armitage. 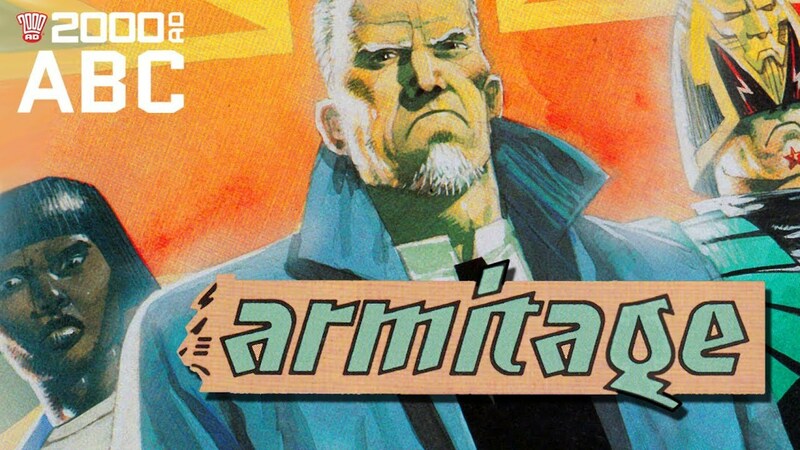 Dredd is a one man army who puts the law above evrything, even his own humanity; Armitage is thoughtful, cultured, a maverick who seldom goes by the book. It's hate at first sight. For once, Dredd may be out of his depth.